Anyone ever sewn from a Mode Illustree pattern sheet? Wowza. This has got to be a great brain-aging preventative if ever there was one. Mode Illustree was a French fashion/home magazine published weekly from the 1859 until at least the 1930s–I haven’t seen any later examples, but they may very well be out there. 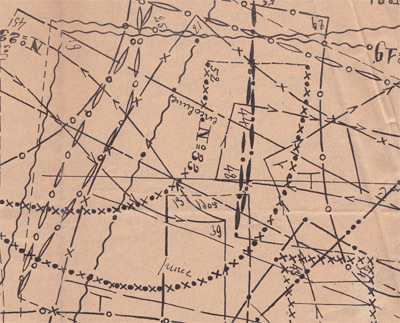 I was lucky enough to find a few with the original pattern sheets, which are a large sheet with all the pattern pieces traced on top of one another with different lines. A bit of a tangle to wrap the head around. I guess the idea is to trace them onto paper and voila, you have your pattern. It has taken me roughly three days, but I have finally gotten it drafted (digitally!) to the point of being ready to print it out and test it. The patterns for Mode Illustree are all listed as size 44, which at least in this 1930 version is for a 70cm waist, 94cm bust and 100cm hip (27.5in waist, 37in bust, 39.4ish waist). That waistline is *not* gonna fly, but we’ll see how it goes. I love so much about this dress. I love it’s Cersei-esque I-will-cut-you style feminity. It’s flowing and feminine without being revealing. Which means a) I won’t be bitterly cold and b) may not even have to worry about shaving my legs and c) I run zero risk of wardrobe malfunction. For a form fitting flowing dress like this, though, some homemade Spanx might be a necessity. But I digress. 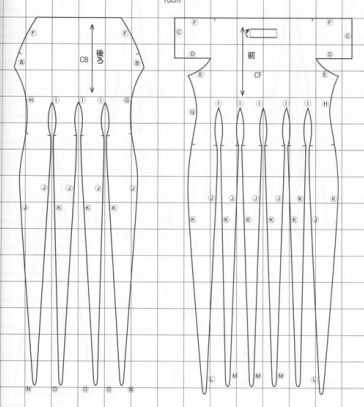 This is from The Bunka Fashion College’s book on Vionnet, which gives diagrams that can be enlarged to draft patterns for 20+ designs based off of actual garments. I have vain aspirations of working my way through it to learn everything I can from hands-on practice with her technique, but given my sewing ADD in this post alone, it’s unlikely that will ever happen. 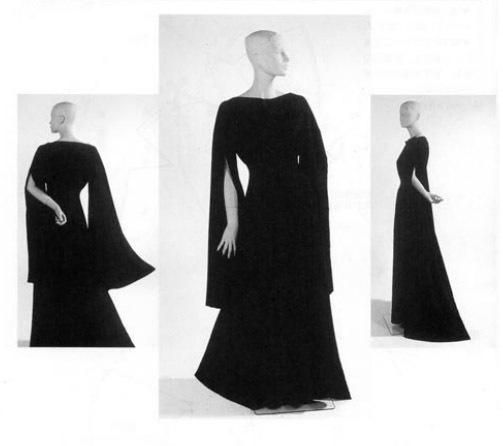 (I go from obsessing on 1860s sleeves to 1930s cowls to 1970s tunics over the course of a day. Is there a name for this obsessive interest roulette wheel my consciousness turns on?) But the book is amazing. It’s in Japanese only, but the illustrations are remarkably clear. I’m looking forward to trying it. Has anyone tried any Vionnet type designs? I’d love to hear about your experiences!